Buy online Haier HSU-19NMW3(DCINV) 1.5 Ton 3 Star Inverter Split AC With 100% Copper Condenser that has an air-throwing capability of more than 40 feet. 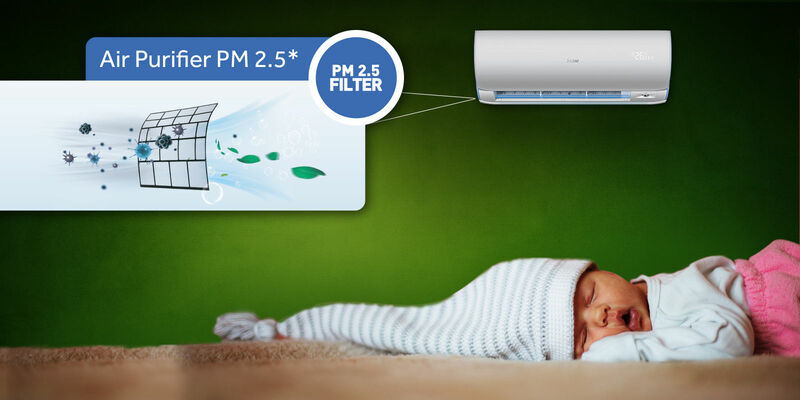 To make sure that the air you breath in is always fresh, it has air purifiers that filter out the bacterias, apart from the high quality net filters. Moreover, it has a 100% Copper Condenser making it a highly efficient machine. Further, the 3-star energy efficient rating that it carries is a testimony about its efficiency. 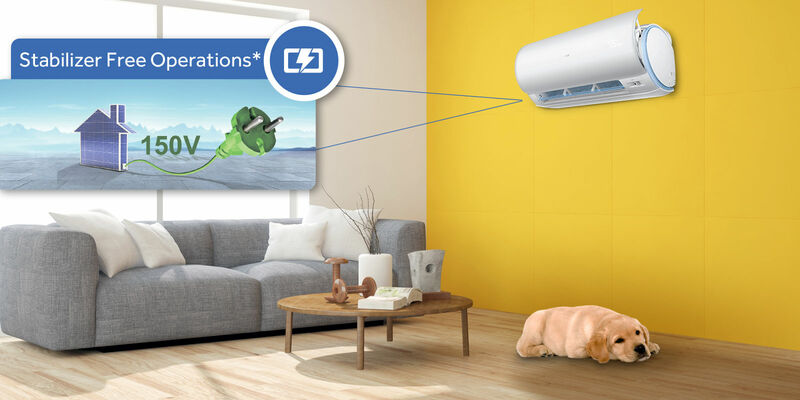 To make sure the summers do not stay around more than it should, buy this AC from Haier at a rate smarter than ever only here on Infibeam at best prices!. Cooling happens effectively even at 60 C in scorching summers due to its adaptable and very powerful compressor. The ionizers produces approximately.20000 ions/cc which clears dusts and germs and eventually acts as a purifier in the home and improve the quality of Indoor air. The Inverter Control realizes temperature adjustment of temperature automatically. The control system enables instant response and high efficiency stability, precise temperature control with comfort & energy saving. 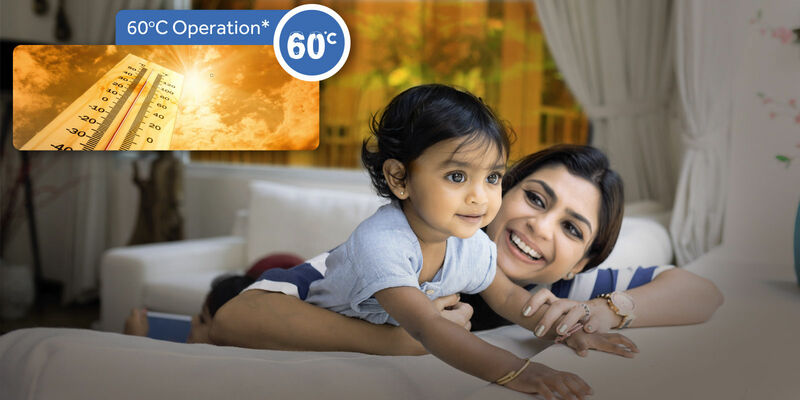 Haier ACs are able to help you save up-to 63% of your AC monthly electricity bills*. 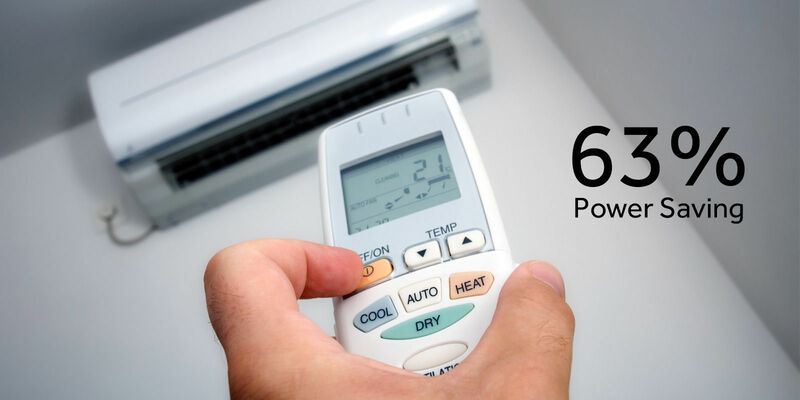 Low vibration of our ACs also contribute to significant power saving.